3rd in the series of posts, and yes I'm still in Tokyo ^^. 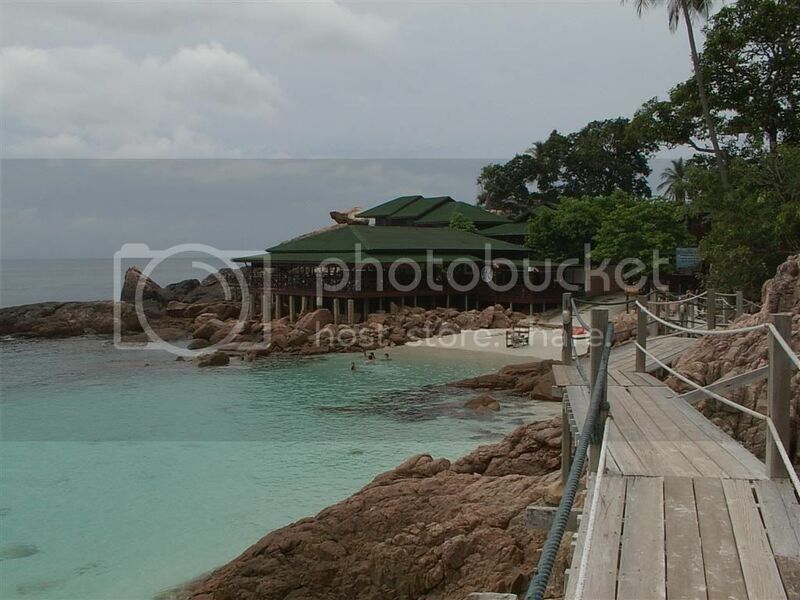 This time is to the sunny island of Redang, Malaysia, 8 - 12th May 2005 (If you noticed the dates, I actually had 3 "holidays" in 3 months lol). My SP classmates decided that we needed a break, thus we planned one to Redang to relax and enjoy ourselves. It was a long journey to the location (10hrs bus + 1hr boat? ), but it was definitely worth it. The beaches were beautiful, the marine life was also fantastic, and so was the company of friends, we were havoc (disco + drinking every night lol). On to the photos!! I'm sure land shots are getting abit boring, but don't worry, this post contains more underwater shots!! 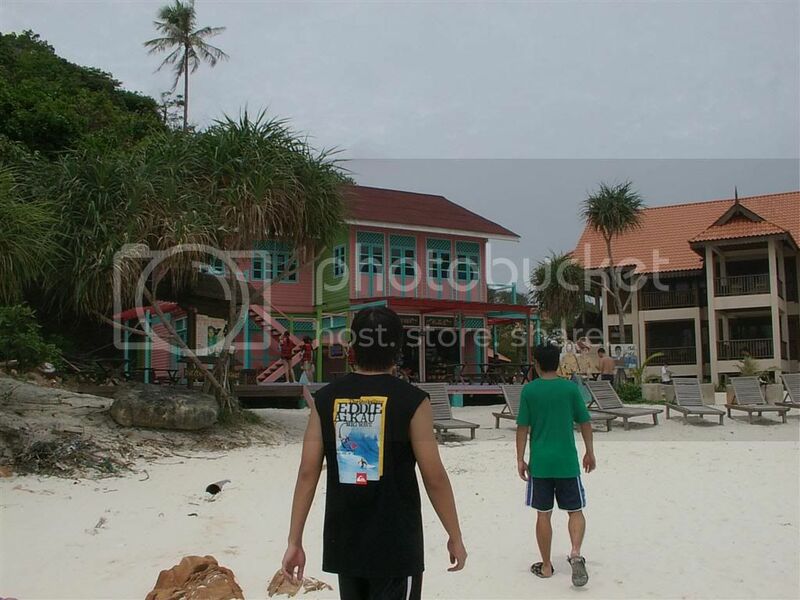 This was where we stayed, Redang Reef Resort. We came on an offer price, so wasn't too bad. That reddish building is actual a replica of the Mo-Mo Cha Inn used in an old Chinese movie called "Summer Holiday". But I never did watched that movie so I don't really know details. Random photo which I self-titled it: "Lost". Long white sandy beach. Need more bikini babes though. If you do some snorkeling just off this beach in the >4m deep region, you'll be able to see huge stingrays with wing spans of about 2-3m. 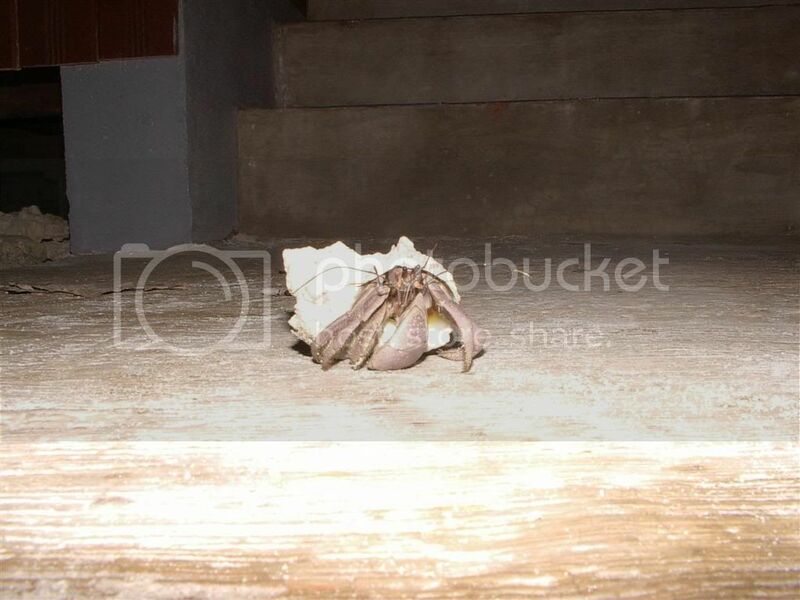 Random hermit crab found walking across the pathway. 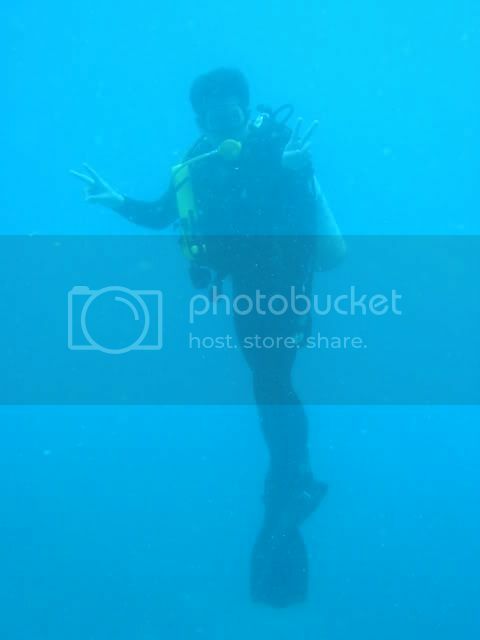 Start of underwater photos!! 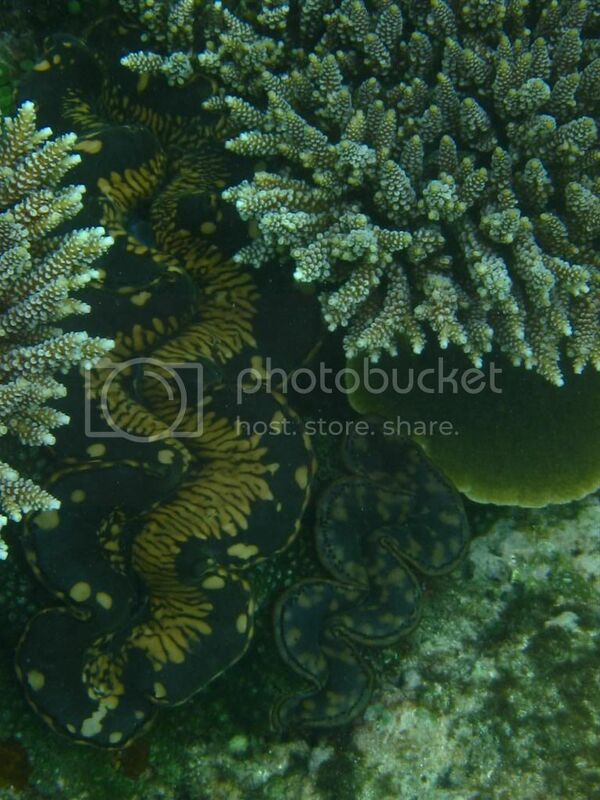 Here's some giant clams for starters. 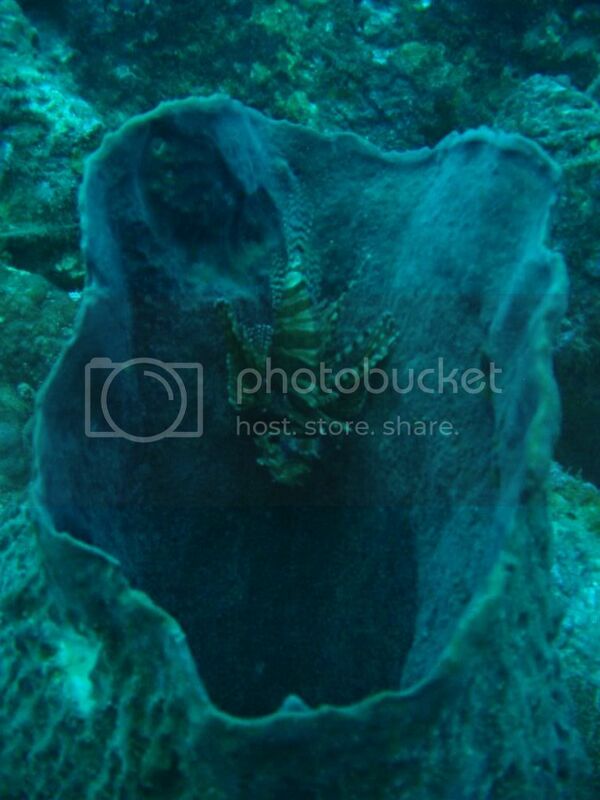 The following few shots are taken while snorkeling. I'll say which are the diving photos. It's easy to notice the difference though, due to lighting. Deeper depths = less light. That is unless you are rich and have strobes and all, then light = no diff at all. 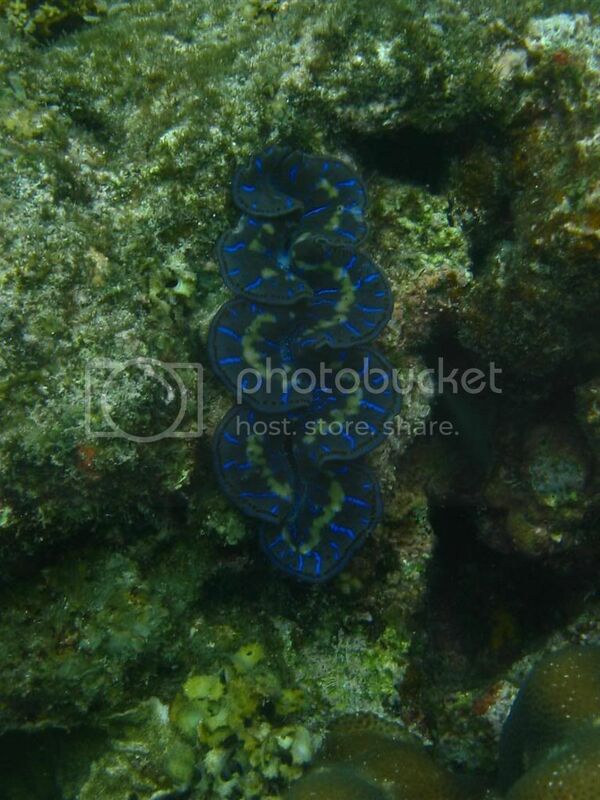 I love the colour of this not so giant clam. 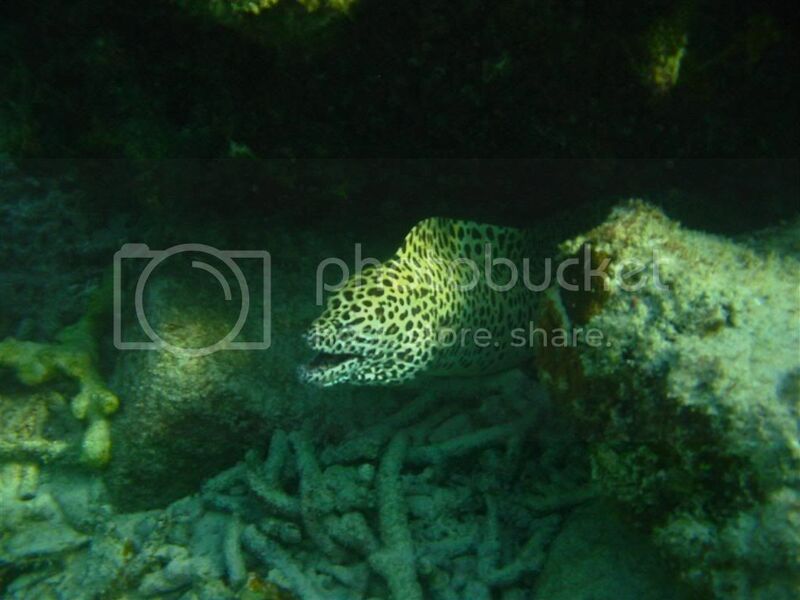 A Spotted Moray eel. Remember the beach photo up above? Towards the top left of that photos, those rocks, this was found around there. 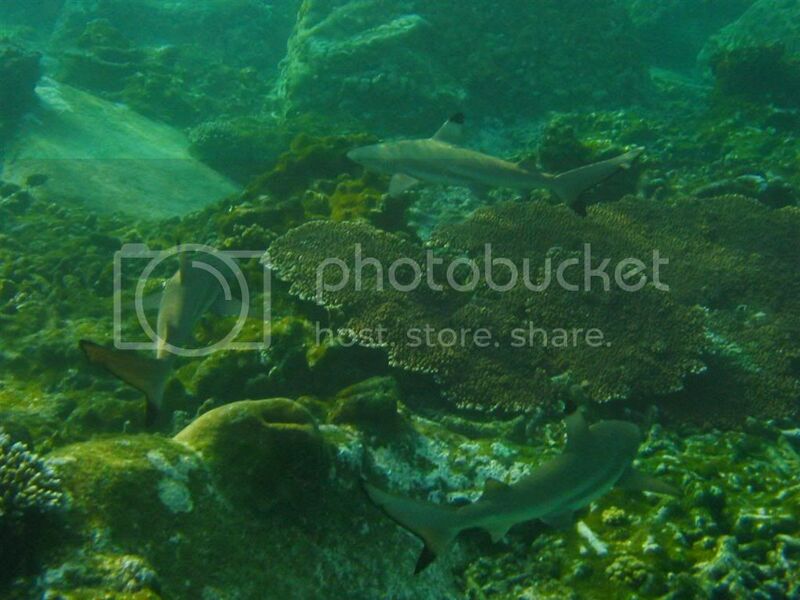 And so were these baby Black-tipped Reef Sharks. I counted about 7-8 of them swimming around. We were literally chasing them around lol. A close-up on one of them. Cute ain't it? Another Moray eel. 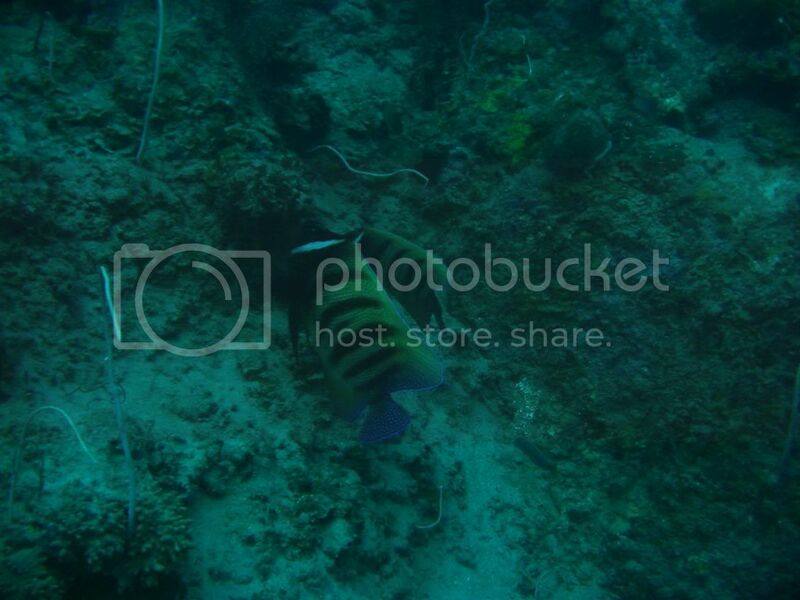 This was found on a snorkeling trip to another location at a depth of about 6-7m. 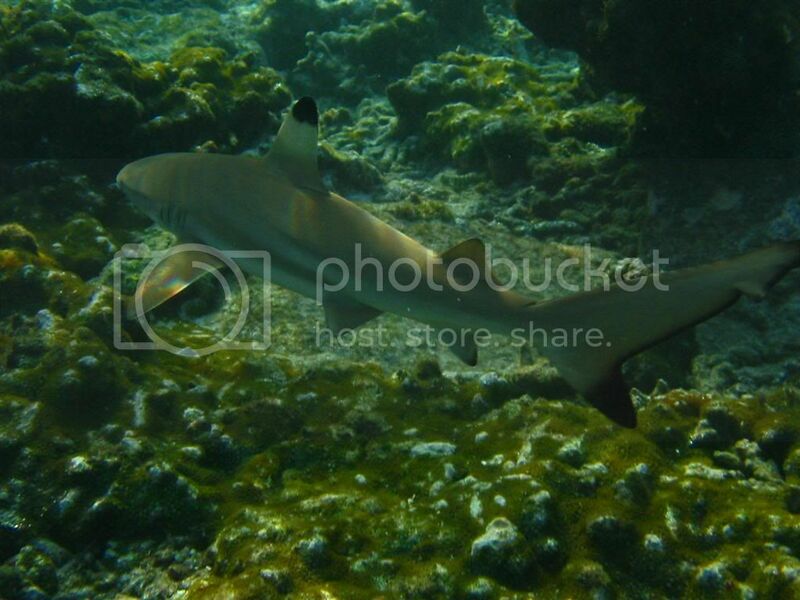 I never liked to stay on the surface even when snorkeling, preferring to do abit of free-diving to about 8m to see more stuff, though I nearly "kicked the bucket" on an attempted 10+m one (so called Deep Water Blackout), will talk about that incident in another post. And onto the diving photos! 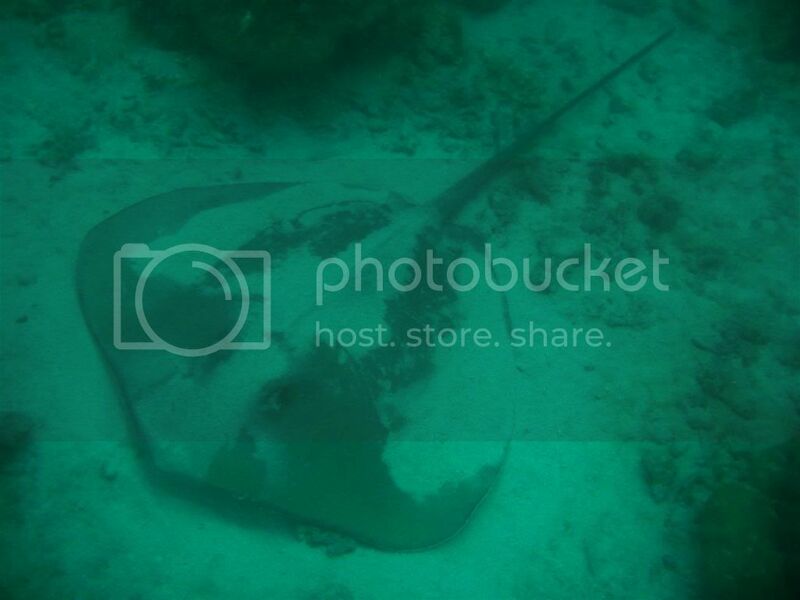 This 3m wingspan stingray was lying at a depth of about 18m. See the lack of light in the following photos? Means we're deep under ^^. 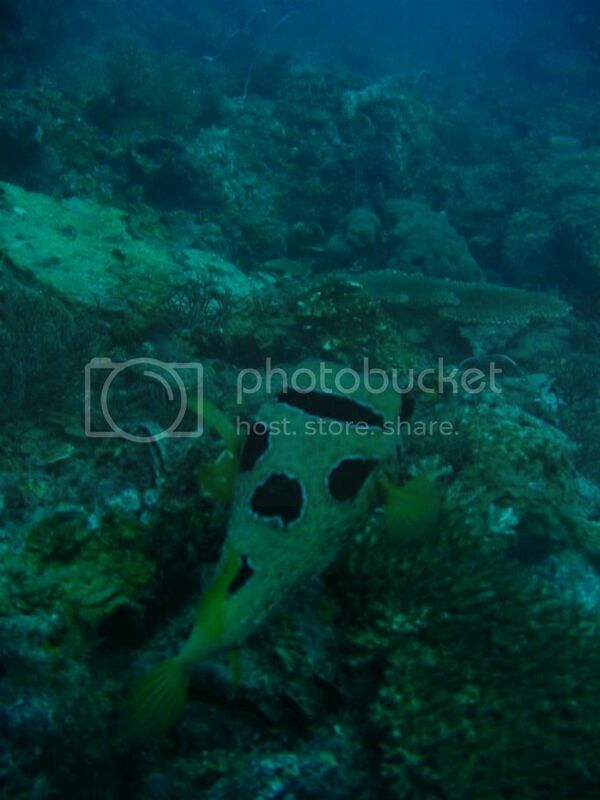 I was always afraid of this fish, since I've seen about 3 attacks on fellow divers by them. 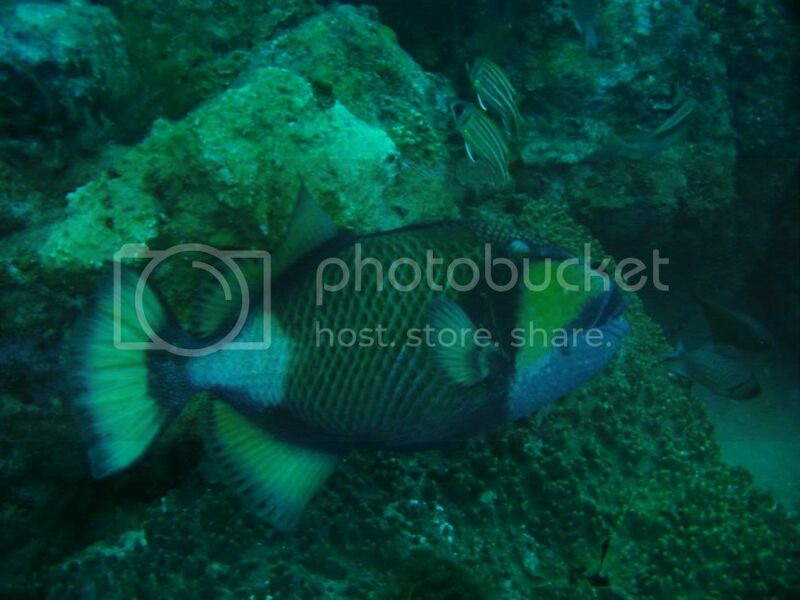 Called the Titan Triggerfish, it's quite vicious during it's mating season, since it'll be guarding it's nest (one of my Divemaster friend saw an attack which took out a guy's ear lobe, good thing I never saw it else I think I might have phobia). Thank goodness it wasn't mating season this time round, since this monster was just about 30cm in my face. I was too concentrated on taking another marine life, and my friends/buddy didn't even warn me about the approaching trigger, and they were laughing about it after the dive -.-" What good friends I have. Another pufferfish. More fugu! 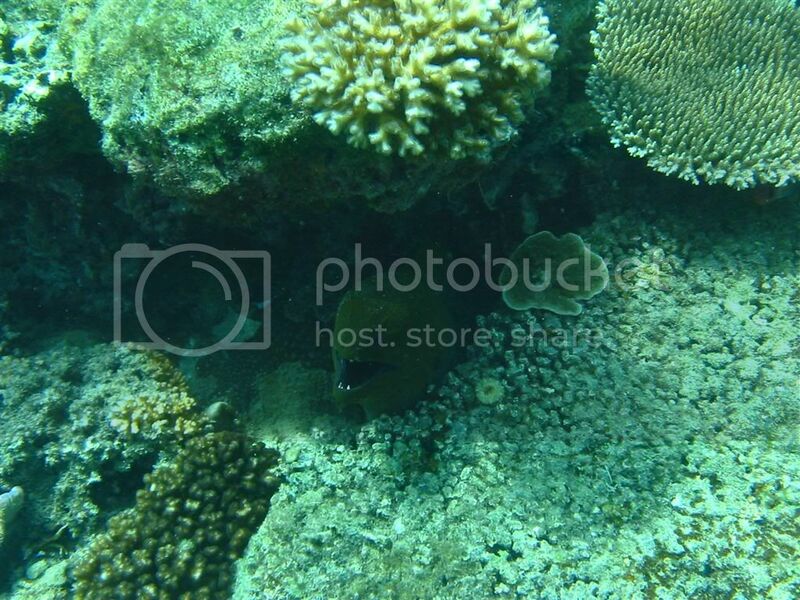 Cute little Lionfish hiding in a marine feature. 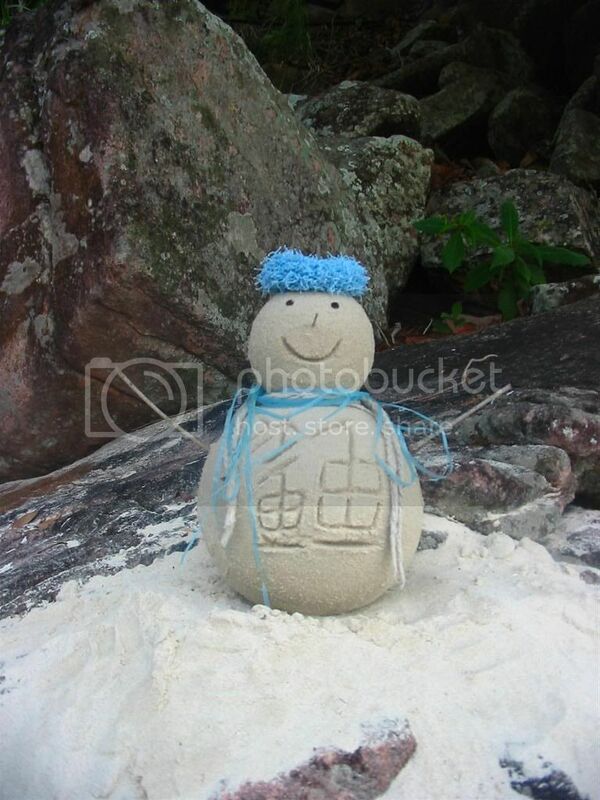 Sandman spotted on shore! Made by one of the local divers. What's that word on the body? Does it say "shark"? I'm not sure. Bidding farewell to the lovely island. I might be going back again real soon if everything goes as planned, sometime end of this month or the next, Hopefully that is. 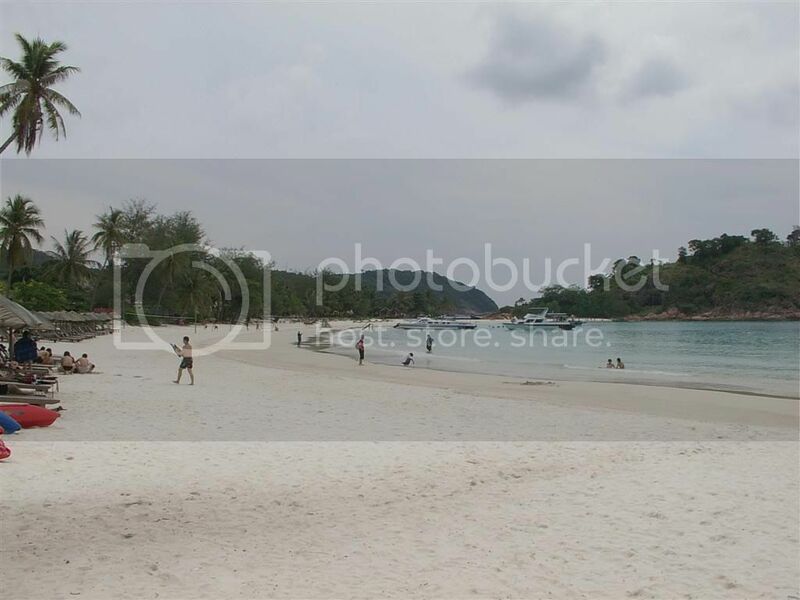 Click for bigger picture of the beach area. My first attempt at a panorama shot. This wasn't taken in Redang (see the water colour difference), but I think you guys would want to see me in dive gear (I think? ), so here's one. Full diving equipment, besides the oxygen tank, is my personal gear, and damn it's really costly, a total worth of about S$3k? 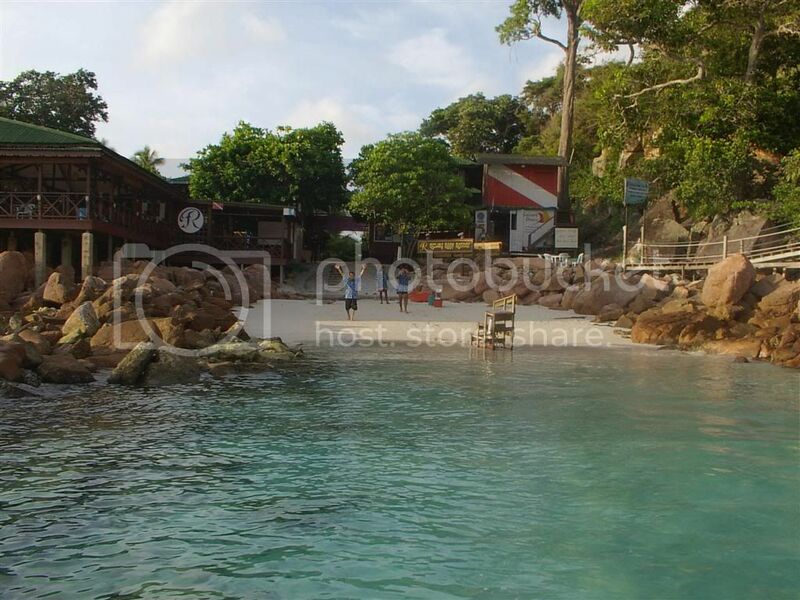 Anyway, this photo was taken in Tioman last year April. Since this post is out on the 13th, means 3 more days (16th) and I'll be back in SG... so sad. Guess this will be the last of the automated posts, the next one will be done in person, likely with a teaser shot of the Japan trip too. Stay tuned and enjoy!! Signing out.